Want to try out a new hobby without spending money on materials? 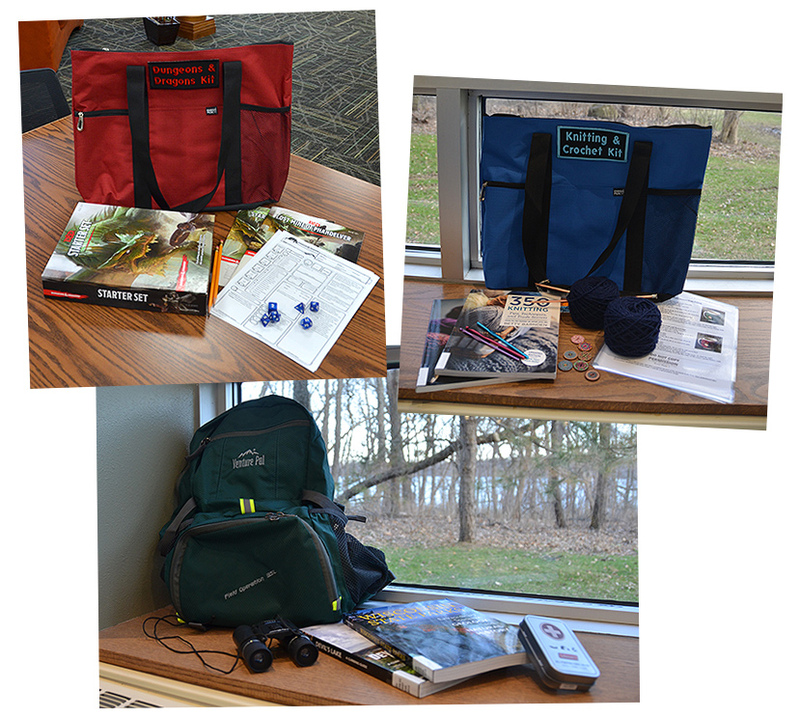 We have three new activity kits in the library that allow Edgewood students to do just that. The Knitting and Crochet Kit contains everything you need to create a small project—including yarn, needles, buttons, patterns, and handbooks. The Dungeons and Dragons Kit contains the D&D Starter Set. Get started playing easily with pre-made characters! The Devil’s Lake State Park Kit is a hiking daypack—perfect for actual use! The kit also contains two books about the park, binoculars, and a first aid kit. Our Devil’s Lake State Park guide covers everything you need to know to start planning your trip. Edgewood Students can check out each kit at the Circulation Desk in the library. All you need is your student ID!